Sweet Hollywood presented this Royal Damask 5 tier Wedding Cake in London for a black and gold theme asian wedding. Like all Sweet Hollywood wedding Cakes, the colours and design can be customised to match your theme or outfit. Furthermore this and other wedding cakes can be made as Egg Free Wedding Cake / Eggless Wedding Cake to suit your dietary requirements. 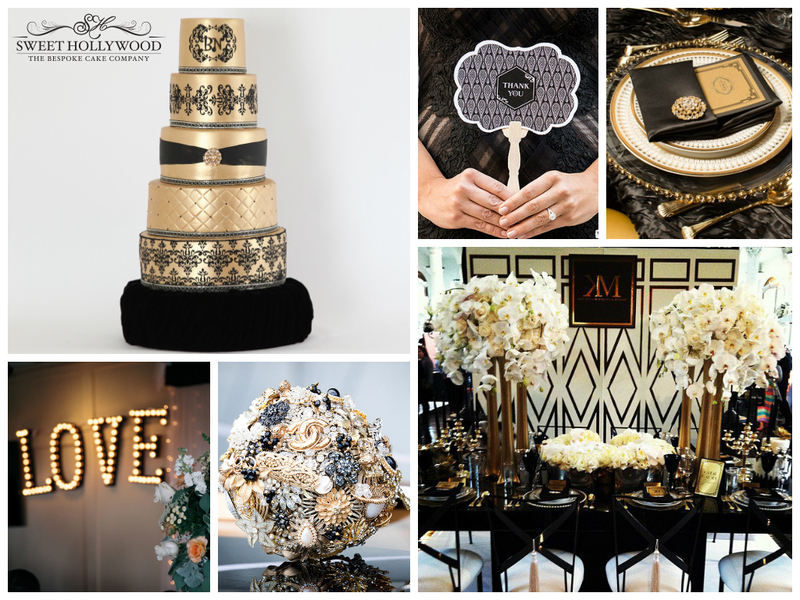 Sweet Hollywood have put together this black and gold mood board to give our clients some inspiration for their black and gold theme wedding. Please don’t forget to hit the LIKE button and thank you for your continued support.